There are absolutely so many attractive birdhouse ideas that can help to attract cute birds into your house. These adorable birdhouses can also help to make your backyard or garden look even more beautiful. Before, birdhouses were used mainly for housing birds. But nowadays, they are also used for decorative purposes and have in fact become an essential garden accessory. 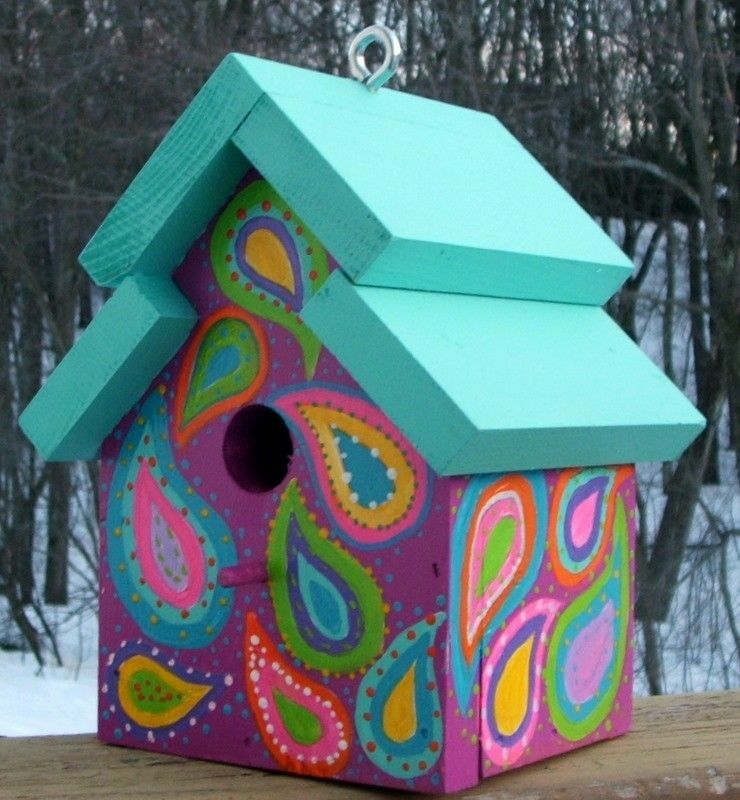 From colorful hand-painted birdhouses to those made of recycled materials, there are absolutely so many birdhouse design ideas that can serve as your inspiration. Some birdhouses are being hanged to a tree branch while others are built into a post. And although you can now easily purchase a fancy bird house online or from your local garden center, creating one on your own is also a good idea. 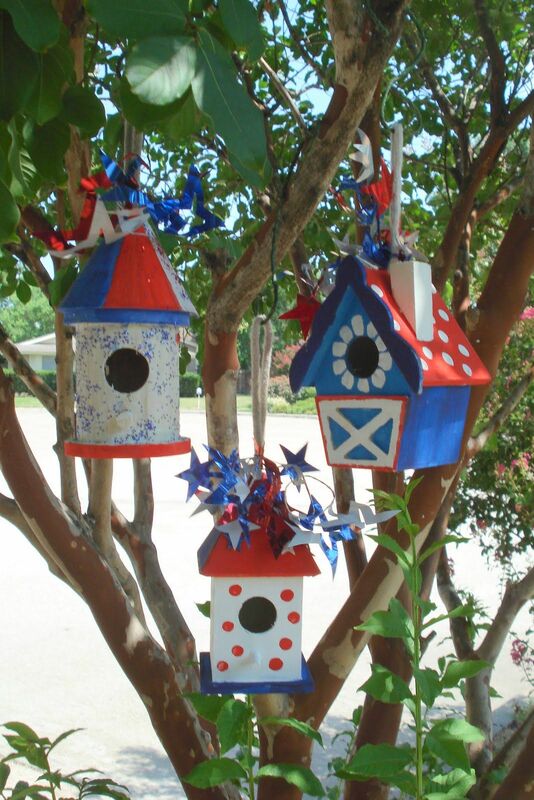 DIY birdhouses are fun to make, especially for those who are fond of arts and crafts. If you are thinking of installing a birdhouse in your backyard or garden, here are some birdhouse ideas for your inspiration. Whether you use the birdhouses for attracting birds or for decorating purposes, building colorful bird houses is a great idea. 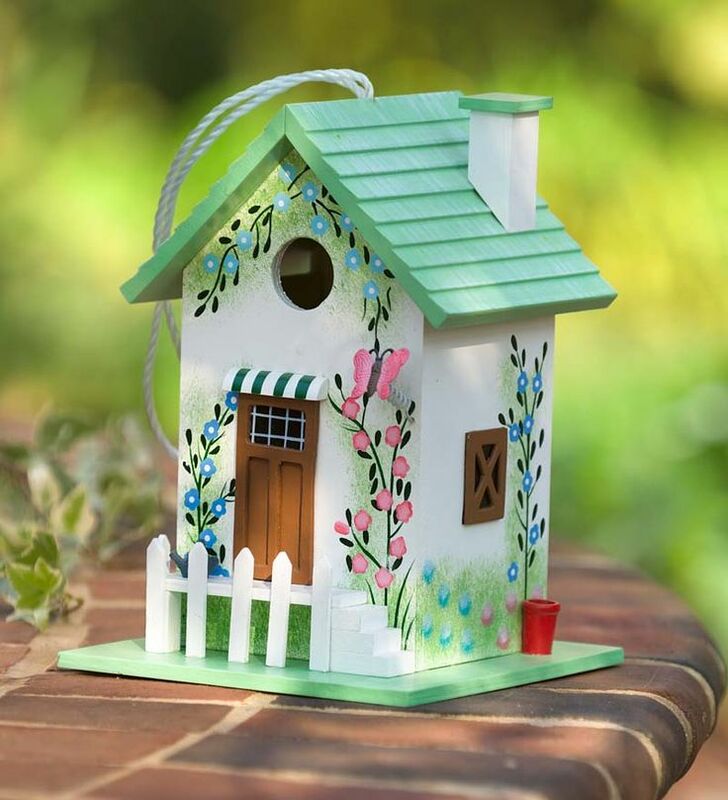 There are plenty of beautifully painted birdhouses that you can buy and are available in attractive colors. 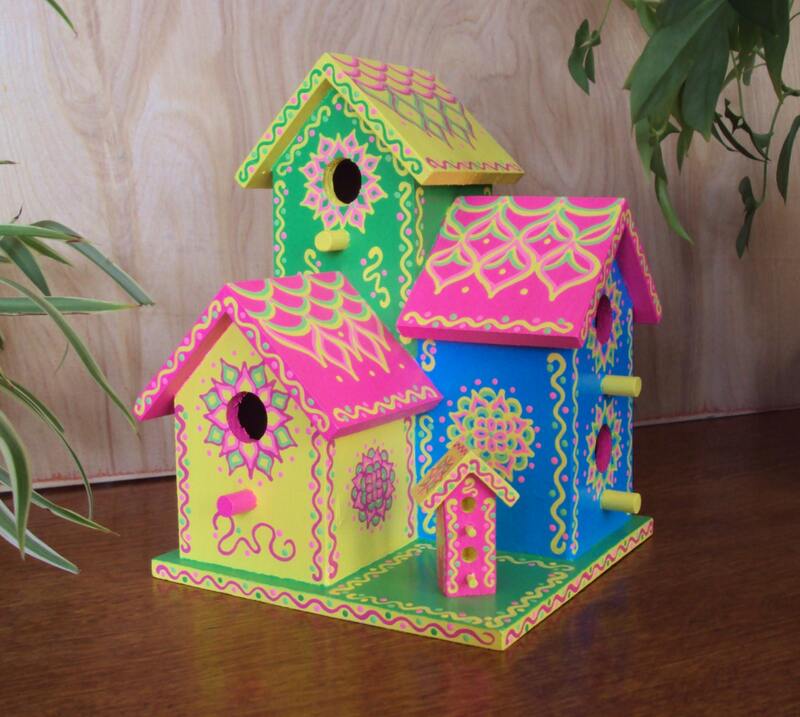 If you are artistic enough, you can create your own birdhouse that looks like a real house. For those who love painting, make use of your skills by coming up with hand painted birdhouses. There are also themed houses that are intricately designed and can make your backyard to stand out. 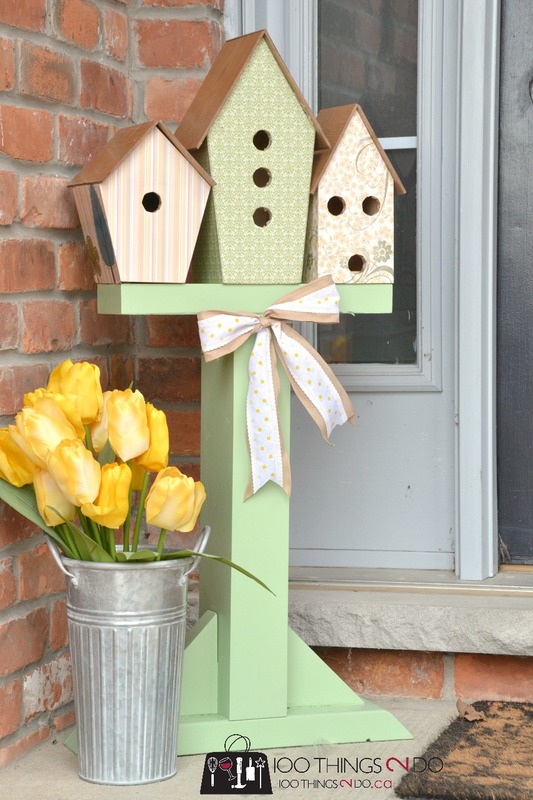 From country tea cottages to hexagon bird houses, these birdhouse ideas are definitely gorgeous. If you need the birdhouse for decoration purposes, it may be a good idea to incorporate the color with the rest of the decors in your garden. 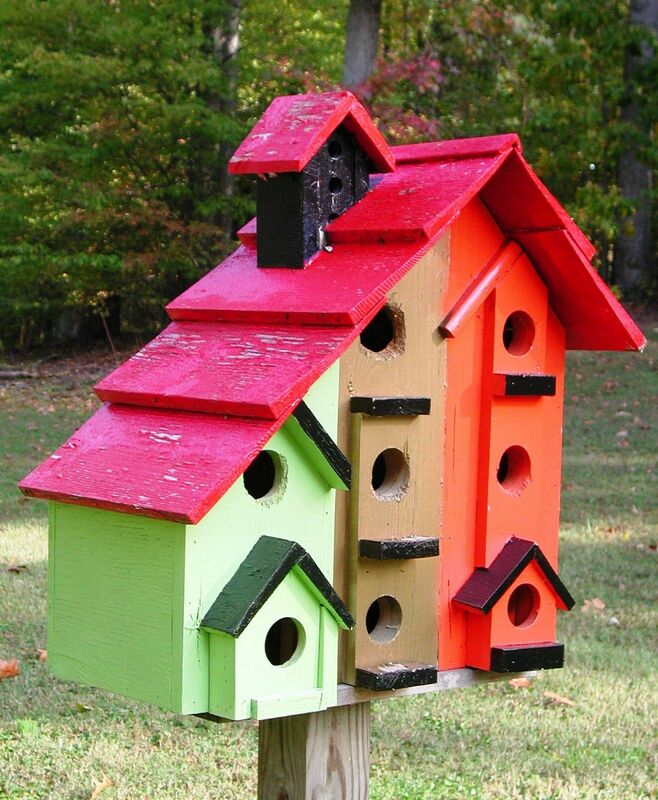 You can also opt for coordinating colors to make your birdhouses to look even more attractive. For instance, if your garden fence is red, you can paint your birdhouse in yellow. Nature camouflaged colors such as green, gray and brown are also great for the birdhouses. They blend well into its environment and help keep your precious birds safe from predators. If you’re going to mount the birdhouse in a colorful flower garden, then paint the house with colors that will blend with the flower hues. 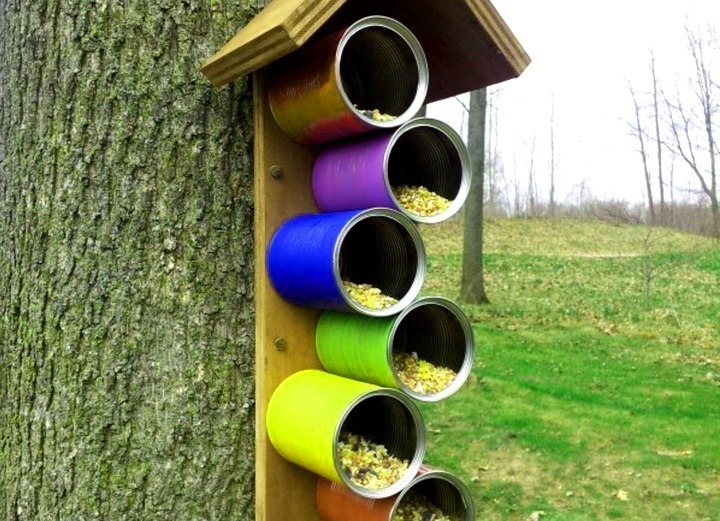 Check out these ideas for more inspiration when it comes to creating colorful bird houses. White bird feeder with hand painted colorful sunflower garden. Red birdhouse beautifully hanging in a tree.. There are various ways on how to mount birdhouses, but the most popular of these is by hanging. 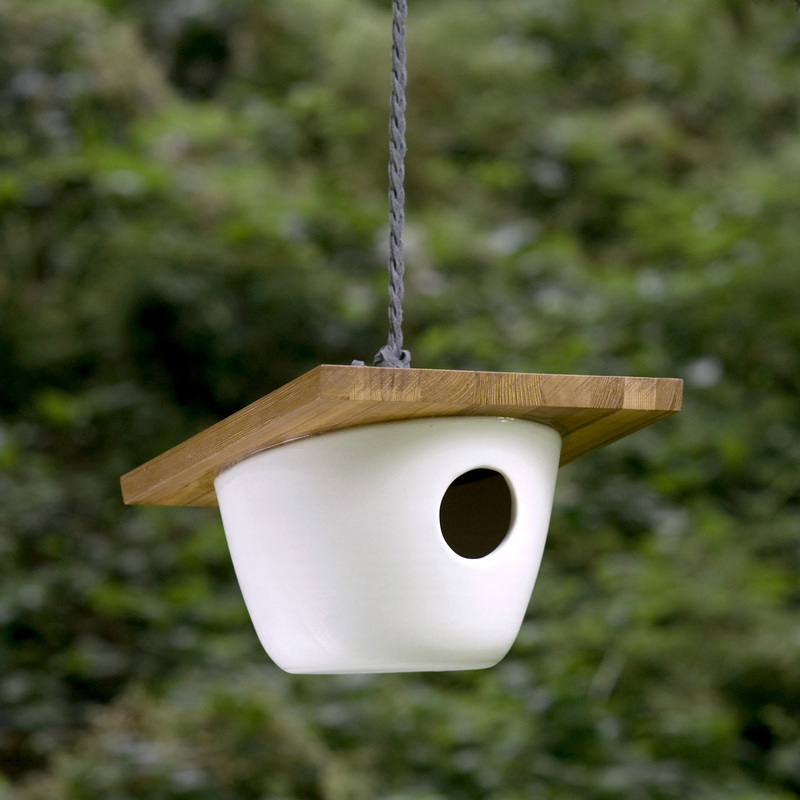 By hanging the birdhouse, you are making it easier for the birds to find a shelter. You can hang the birdhouses at the branch of a tree in your garden or perhaps on the fence. Some homeowners will choose to hang the birdhouse in their kitchen window so they can enjoy watching the birds while working in their kitchen. Outdoor bird houses can also be hooked at the patio or porch. But regardless of where you plan on mounting the birdhouse, it’s important that you mount it properly and securely. Even the most beautiful and well-decorated birdhouses will not attract birds if they are not properly mounted. 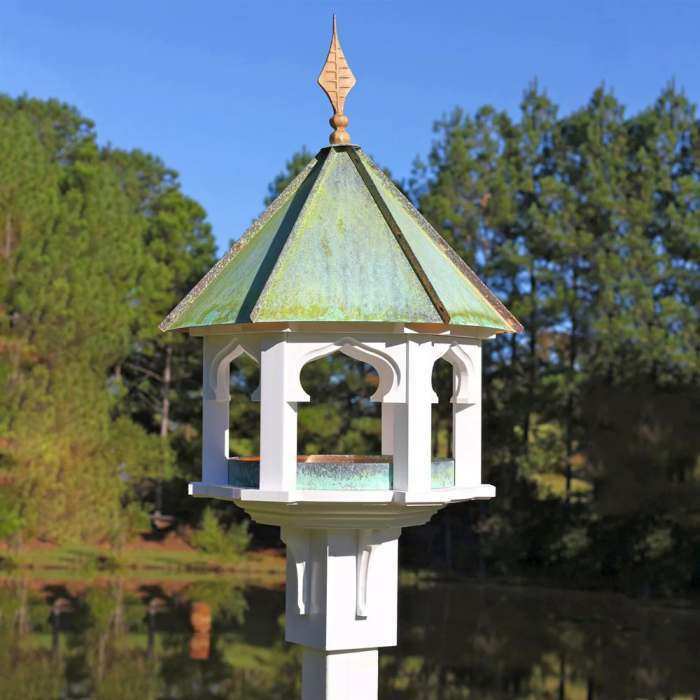 Ideally, the birdhouse should be mounted in a private area that’s far from those areas where lots of bird activities can make brooding birds anxious. It’s a good idea to hang the birdhouse in a concealed area or in nearby tree branches for perching. This is to allow adult birds an opportunity for them to watch over their brood. However, there are also some birds that will prefer to live in a more open area, such as the purple martins and bluebirds. If you plan on building a hanging birdhouse, take a look at these birdhouse design ideas for your inspiration. Hanging bird feeder made of mosaic stones. 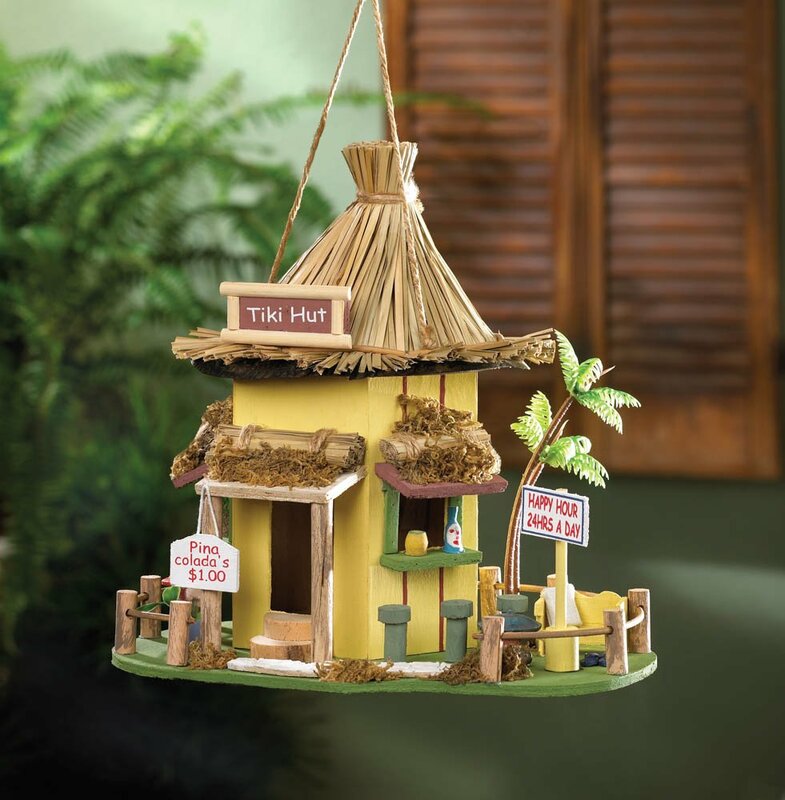 Traditional handmade wooden hanging house wild bird feeder. Gorgeous wooden hanging bird feeder. Another way to mount the birdhouse is on a post. 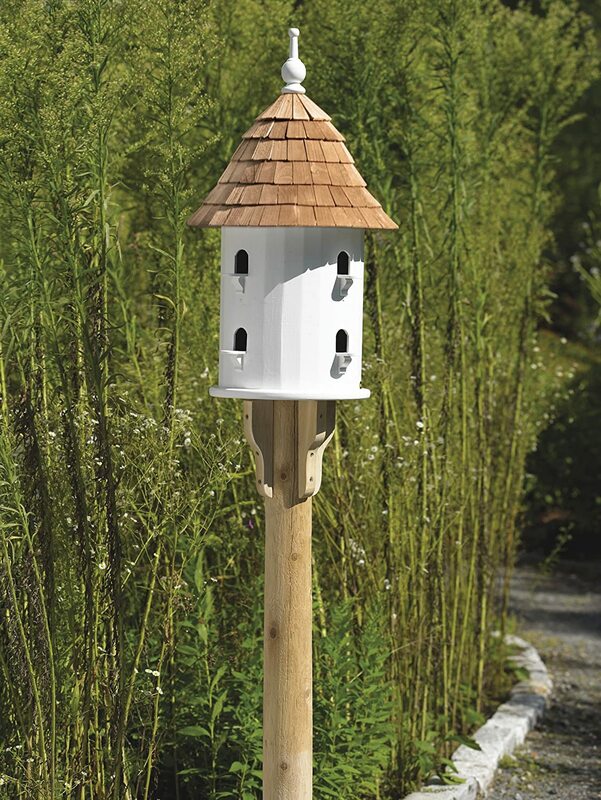 Outdoor bird houses that are mounted on a post are actually safer and more secure than those that are hanged. Also, if you do not have a tree or a place to hang the birdhouses, building them into a post is a great alternative. If you will choose to mount the birdhouse into a post, make sure you choose a post that will nicely balance with the overall proportion of the birdhouse. It should also allow enough room to attach the brackets that you will use to mount the house into the post. There are readymade posts that you can purchase from home improvement stores. You can also build a post from scratch using durable wood materials or a lumber. When building the post, it’s important that your post is tall enough so that the birds will be out of reach from the predators. You can mount the post in front of your house or in your garden. To make it look even more beautiful, paint the post in the same color as that of your birdhouse. If you’re going to install it in a garden with flowers, then paint it in the same color as that of the flowers that bloom in your garden. 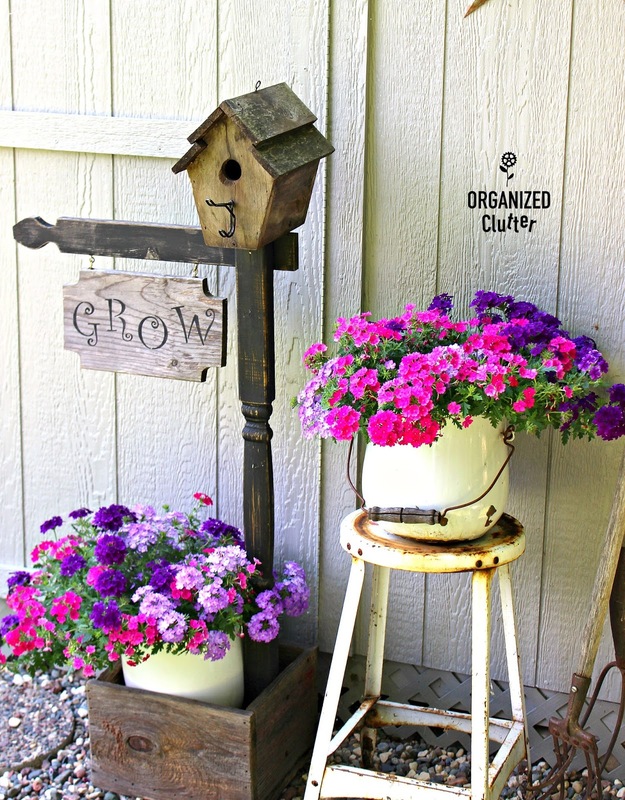 Before you get started with building birdhouses on a post, check out these birdhouse ideas for some inspiration. 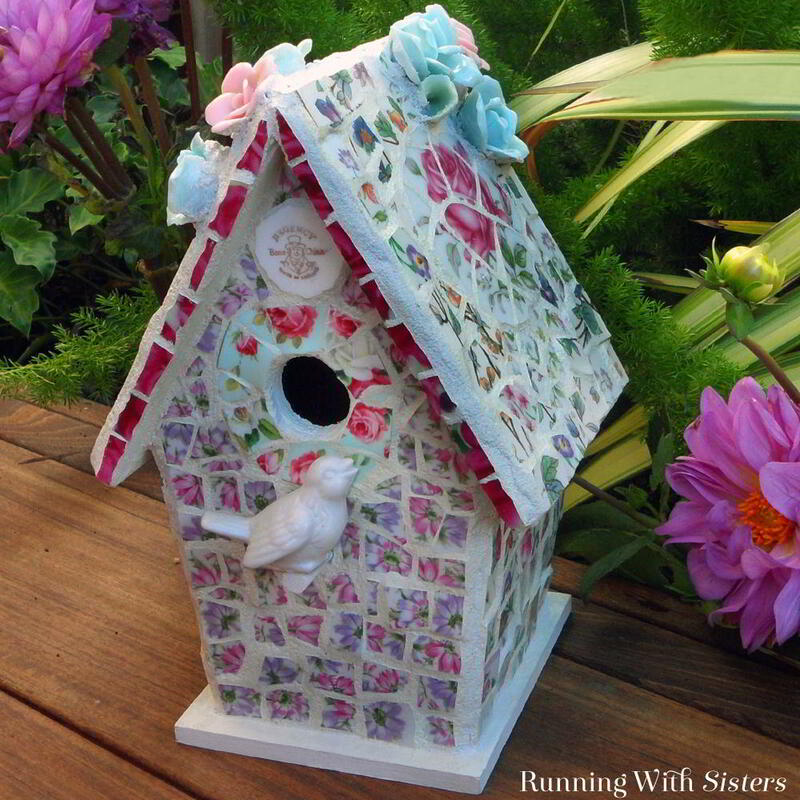 Gorgeous birdhouse with shingle roof. Cute birdhouses at the front door. Tudor style birdhouse on a post. Amish bird feeder in a flower post. If you want to attract plenty of birds to your garden or porch, then consider building multiple birdhouses. The more birdhouses you have, the more birds will dwell in your garden or porch. There are lots of design inspirations to follow when building multiple birdhouses. 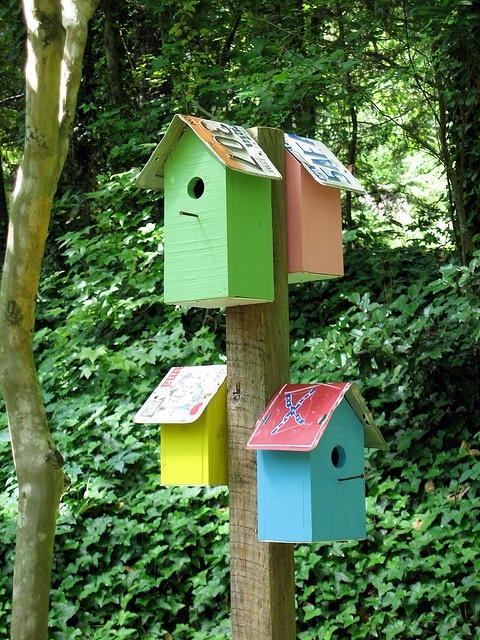 You can opt for colorful birdhouses grouped in a post or several birdhouses that are hanged individually onto a tree. 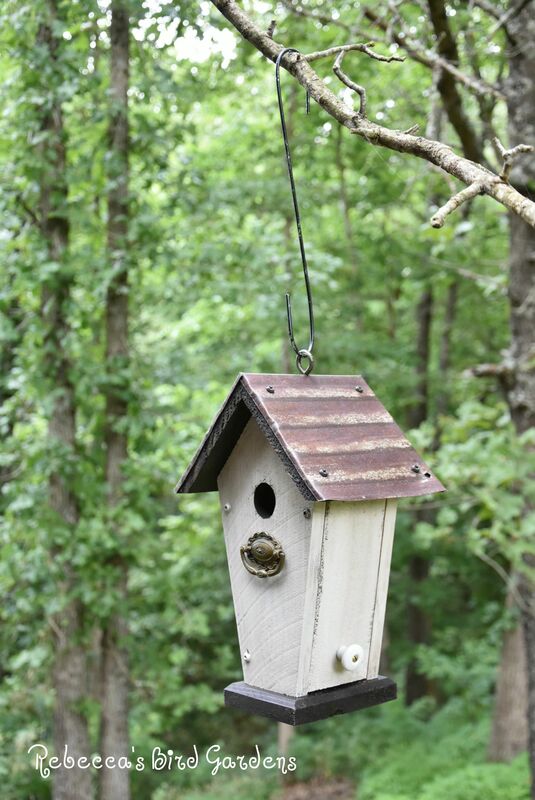 If you don’t have the luxury of time to build the houses yourself, you can choose to buy readymade multiple birdhouses online or at a home improvement store. When building the birdhouses yourself, there are several factors to consider. First of all, you need to choose the proper design. Different bird species will require varied types of birdhouses. For instance, purple martins would prefer to live along with birds of their species. On the other hand, house wrens will choose to live in a single house on their own and would not want to have other wrens nearby. 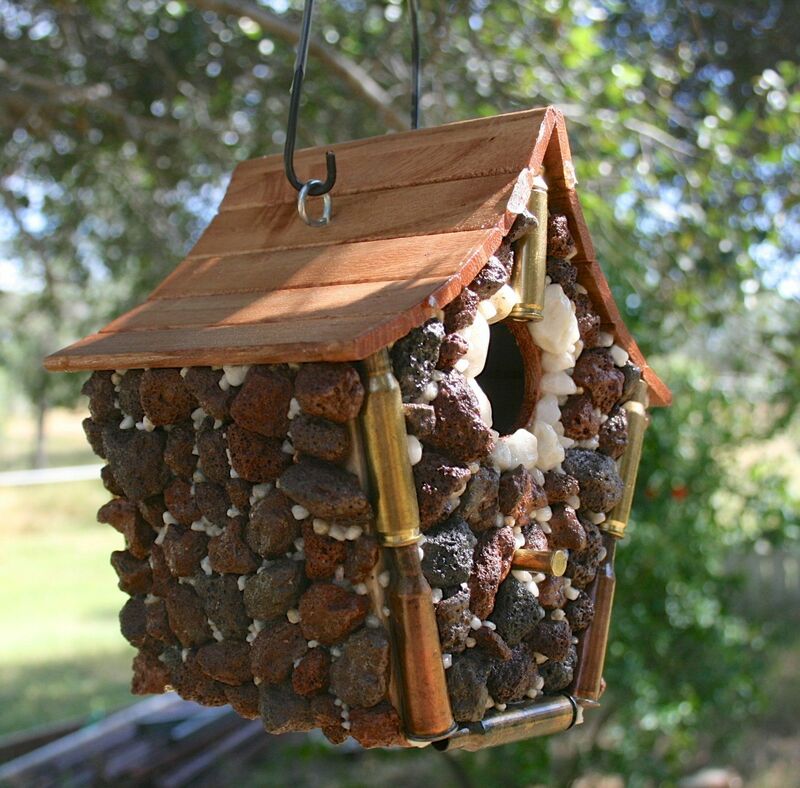 Choose a durable material for your birdhouses. Regardless of the type of birdhouse that you want, whether it is a single or multiple birdhouses, wood is often the best material to use. It’s also important that the house has proper ventilation and drainage holes, especially on the floor. If you are going to hang multiple birdhouses, make sure that the hook or string is durable and could carry the weight of all the birdhouses. The last thing you want is for the houses to collapse and scare all the birds away. Here are some multiple birdhouse ideas to help you in deciding the design of your birdhouses. Colorful birdhouses in a post. Multiple birdhouses on a post. Colorful birdhouses in a tree. 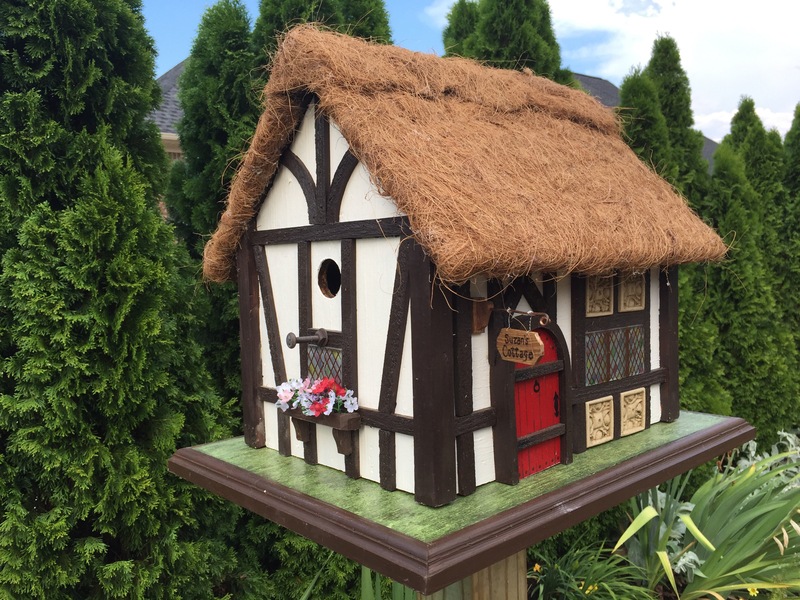 You don’t really need to spend a lot of money for a new birdhouse, except if you want something that’s professionally made such as those elaborately decorated birdhouses that you can find at home improvement stores. For those who are on a budget, buying may not be the best option. The good news is that you can actually build your own birdhouse even if you are not an expert in Do It Yourself projects. There are lots of easy DIY birdhouse design ideas that can serve as your guide to coming up with a simple but attractive birdhouse that will draw plenty of birds into your garden. Depending on the design that you want, these birdhouses should not take up a lot of time. They can be made of wood or other materials, too. What’s important is that you use durable and long lasting materials. You can leave the birdhouse unpainted but if you have some knowledge in hand painting, building hand painted birdhouses is highly recommended. The most basic tools and materials needed for building a new birdhouse are saw, drill, clamps, pine board, wood glue and paint. If you think you are capable of building your own birdhouses, here are some easy birdhouse ideas to check out. Beautiful birdhouse made of twigs. Simple and stylish DIY wooden birdhouse. Colorful birdhouse made of popsicle sticks. If you are blessed with creative and artistic skills, then you should be able to turn any reclaimed or recycled items into a birdhouse. 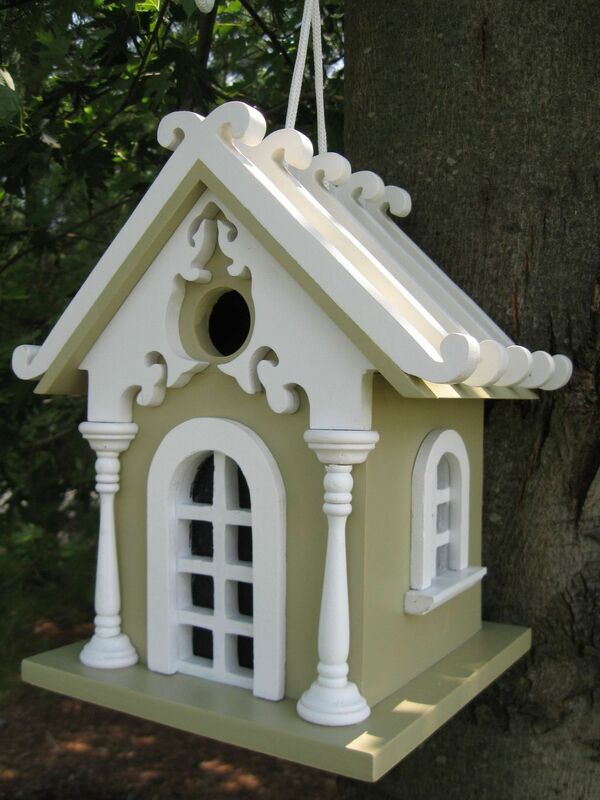 Most birds are easily attracted to any type of birdhouse, regardless of the shape and design. What’s important is that it has feeders, water features, and shelter and that they feel safe and comfortable living in it. Even if you have a fancy birdhouse but if the birds are not comfortable living there, they will end up leaving to look for another shelter. So if you do not want to spend a lot of money for a new birdhouse, look for some items in your house that you can use for a birdhouse. Check out your garage, kitchen, backyard or even those items you have kept in storage. Aside from freeing up some space in your house, building birdhouses using reclaimed materials is a fun and enjoyable project. Some of the items that you can turn into a birdhouse are ceramic bowls, teapots, old tires, jars, cans, and even a pair of boots! Check out these gorgeous inspirations to get your creative juices flowing. Birdhouse made of black tires. Adorable birdhouse made from recycled materials. 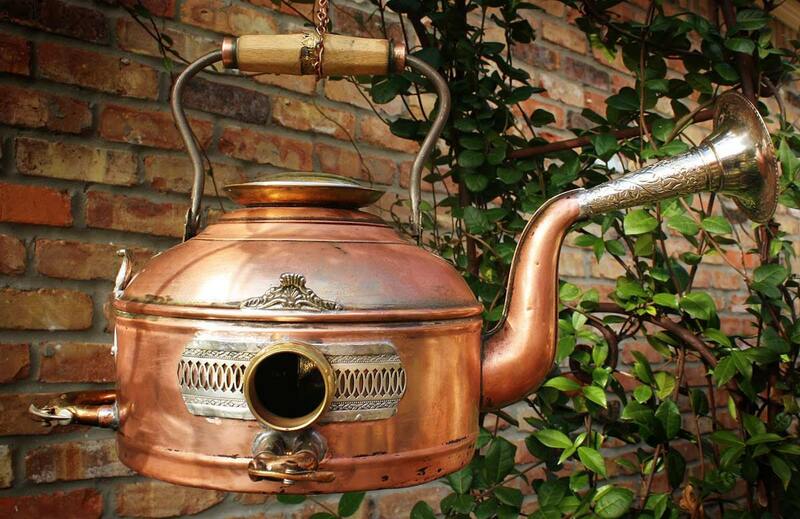 Old teapot used as fancy birdhouse. Painted aluminum cans used as birdhouses. 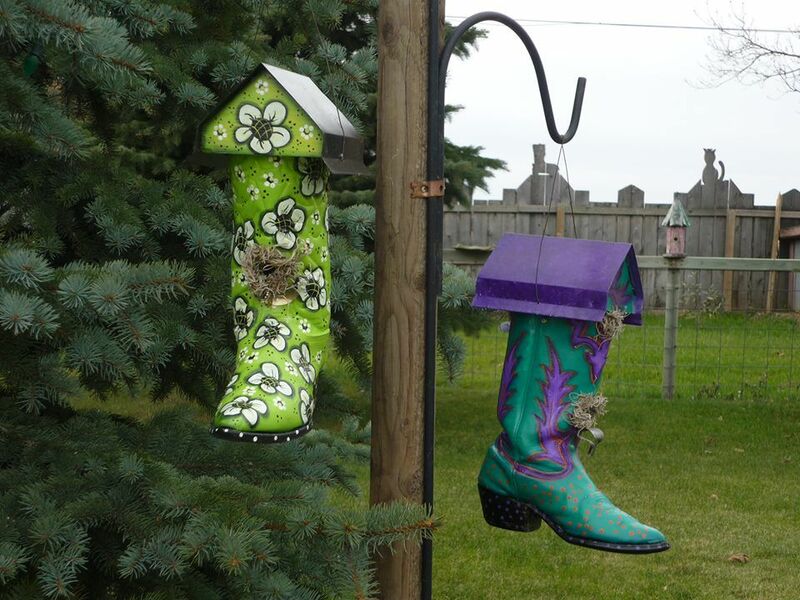 Old colorful boots transformed into birdhouses. 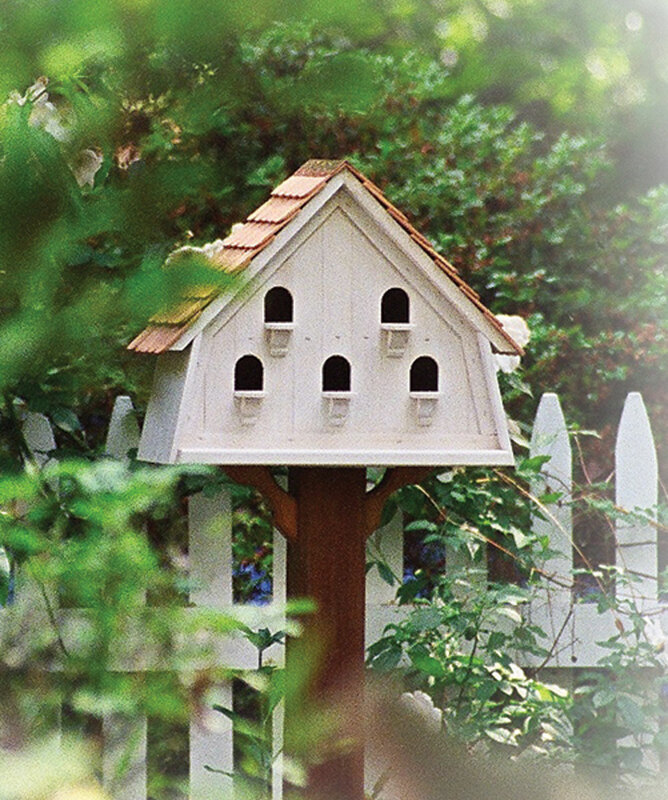 There are many benefits that come with having a birdhouse in your garden. Aside from attracting birds, which are beneficial to your plants, they can also help to pretty up your garden, especially if you build an attractive and colorful birdhouse. Hopefully, these birdhouse ideas will inspire you into building your own birdhouse that will not only attract birds but will help to make your garden look beautiful as well.